Printed cotton panel measuring approx 91 cm x 110 cm. 100% first class cotton quilting fabric brilliantly printed with metallic highlights , measures 60 cm x 110 cm . make up as wallhanging , coasters , place mats - endless wintery possibilities. we also sell the lovely large holly print background - the berries are almost real ! Simple to make, with step by step instructions. Amazing Stars Advent Calendar 60 x 110cm PANEL .designed by Stoffa fabrics and printed in Japan . this panel is printed in rich red and gold tones with metallic highlights . the panel is marked with fold lines for you to fold up to create the pockets for the advent calendar . it really works swiftly and well . 60cm wide by 110cm , with printed instructions on how to complete .easy to fold up fabric and stitch to create pockets . ideal beginner advent project . 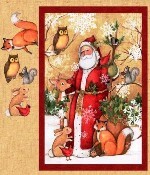 Christmas Cheer Runner- cheery father christmas to brighten up any table or as slim wallhanging . first class quilting cotton . 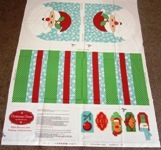 panel for christmas runner 160 x 30 cm finished with instructions. 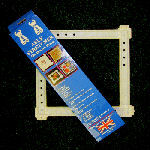 60cm wide by 110cm , with printed instructions on how to complete . fold up fabric to create the pockets - a really good beginner advent project . 60cm wide 110cm with printed instructions on how to complete . very straight forward to fold up the fabric to create pockets . clearly marked and explained . a great beginners advent project . available in three different colourways . Christmas Santa's Here Stocking . panel size 60 x 110cm first class quilting cotton .only to be made up for very good children as this stocking is whopping! 78 x 30 cm finished size , with printed instructions. Four Happy Christmas Snowmen 100 x 110cm panel .first class quilting cotton . 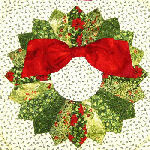 Make festive bunting - 20 printed designs included so you can make one long garland or 2 shorter ones. 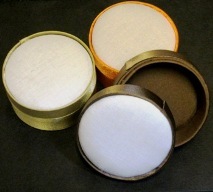 Traditional garland kit. Contains all the fabric required to complete.